How Can a Driver Camera Benefit You? Gatekeeper’s driver camera DriverCam can be a huge asset to your security approach. Gatekeeper’s DriverCam is a high-quality driver camera that is able to keep a detailed record of everyone who comes in and out of a facility or checkpoint. It’s a powerful security technology that can even scan faces if a vehicle has tinted windows or is impacted by a glare from the sun or overhead lighting. Still, you may be wondering how a driver camera can benefit you, your business, or your overall approach to security. We at Gatekeeper believe our DriverCam is one of the most advanced and powerful security technologies on the market today. 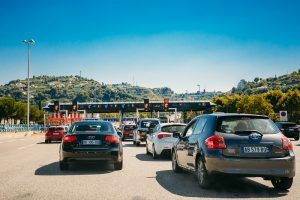 A driver camera can be utilized for an array of different needs, including border crossings, secure parking facilities, large facilities with internal drivers, and vehicle access control points. Anywhere there are a number of vehicles entering or exiting an area, the DriverCam is capable of monitoring who comes and goes. This is suitable for everything from government facilities, where security can be a matter of lives at risk, or commercial purposes, where you need to protect your assets in whatever ways you can. These days, it’s not enough to use a bunch of standalone systems. Proper security means integration between your tech for a much more comprehensive approach. While some driver camera systems, including our DriverCam, are able to be installed as a standalone unit, when integrated with other technologies like our Automatic Under Vehicle Inspection system or our license plate reader, your security attempts are improved drastically. Facial recognition software is rapidly becoming a critical component in the security world. Gatekeeper’s DriverCam is able to capture high enough quality images that they can be compared to a database, meaning you can determine whether or not a driver is authorized to be where they are. Gatekeeper Security’s suite of intelligent optical technologies provides security personnel with the tool to detect today’s threats. Our systems help those in the energy, transportation, commercial, and government sectors protect their people and their valuables by detecting threats in time to take action. From automatic under vehicle inspection systems, automatic license plate reader systems, to on the move automatic vehicle occupant identifier, we offer full 360-degree vehicle scanning to ensure any threat is found. Throughout 30 countries around the globe, Gatekeeper Security’s technology is trusted to help protect critical infrastructure. Follow us on Facebook, Google+, and LinkedIn for updates about our technology and company. This entry was posted on Wednesday, June 21st, 2017 at 2:23 pm. Both comments and pings are currently closed.